2015. the start of a new year. for the past 10 years i’ve made a habit of taking some time out on the 1st day of january to regroup, reflect and remember the year that was. without being too philosophical or hard on myself, i also try and write some goals for the new year. so, while the husband was still fast-asleep, recovering from having 30 people in our house for an awesome party the night before, i fittingly went for a solo walk and brunch! there are two establishments in the einstein family. 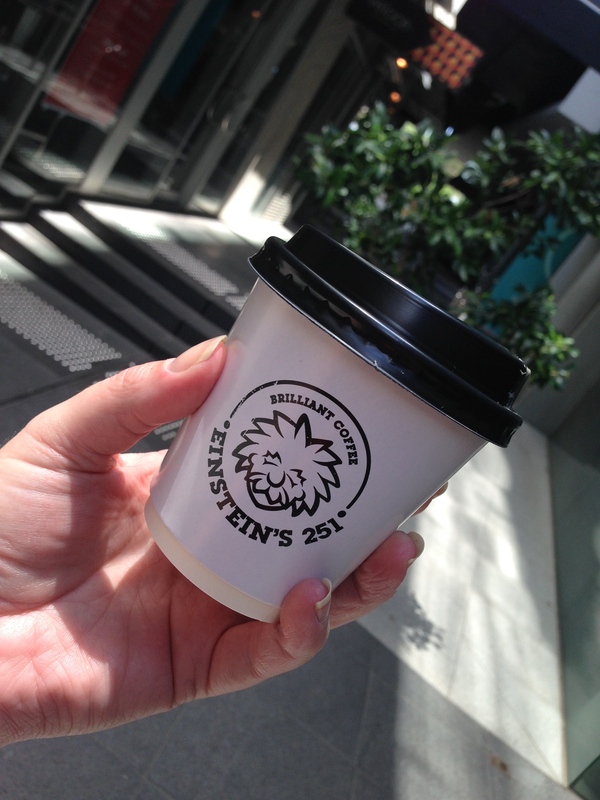 i’m not sure which came first, but there’s einstein 251 in caulfield north + the delightful einstein’s relative in south yarra. situated close to south yarra train station, unbeknown to me i paid these guys a visit on the last day of their current menu (they reopen 20th jan 2015 with a brand new menu). 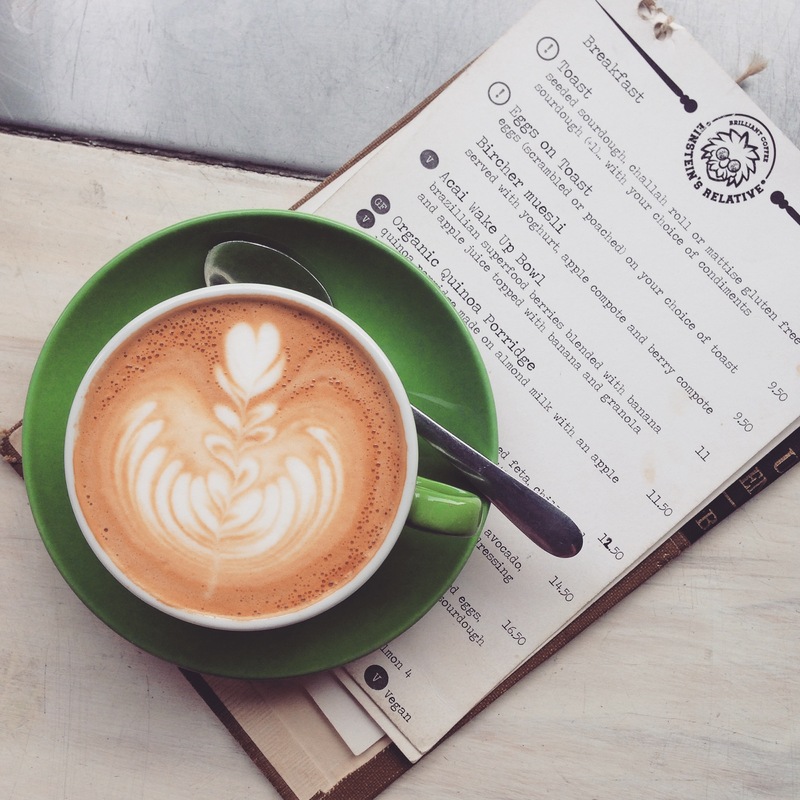 the coffee was brilliant, my flat white made with small batch candyman blend. fruity, soft + balanced, it was exactly what i needed to kick start my day after a few wines on nye! 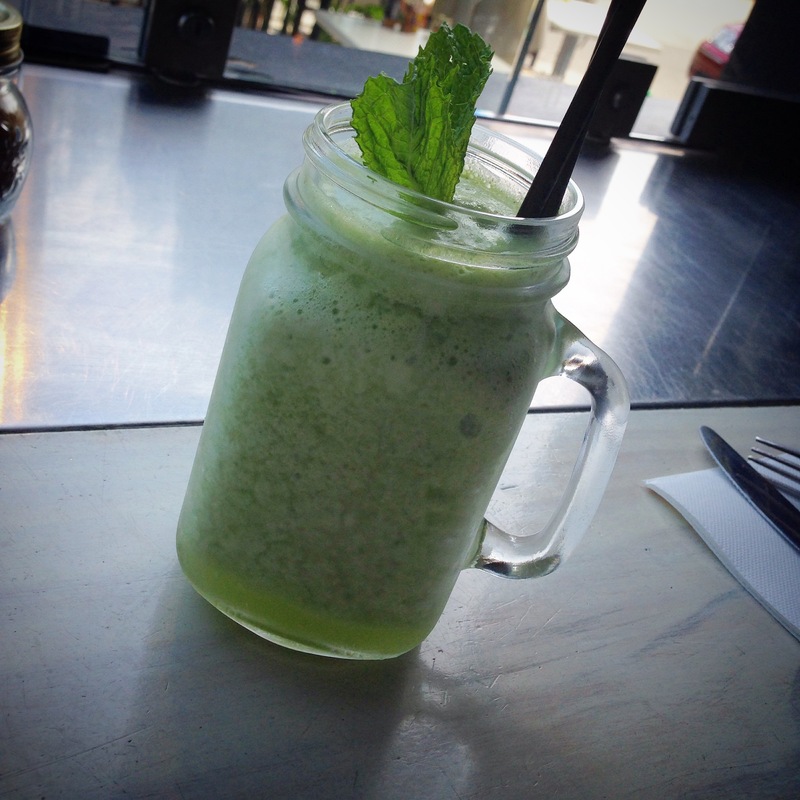 i also paired my coffee with a cool, refreshing “einstein’s shake”: pineapple, lemon + mint. de-li-cious! i was in a pretty indecisive (tired) mood + kept flitting between wanting the acai bowl, plain old eggs on toast or the bircher. that was, until i took a look at the couple at the table in front of me, which immediately settled it for me. haloumi bruschetta: seeded sourdough toast with diced haloumi, avocado, medley of cherry tomato and a tangy yoghurt dressing. this was phenomenal + i hope it stays on the new menu. if i start from the bottom, the sourdough toast was softly toasted (not too crispy) with a generous amount of avocado spread on top. this was great as it meant each forkful of toast had a layer of avo (my fave) already on it. then it was layers of beautiful cherry tomatoes + some wafer-thin slices of radish – fresh, light and healthy. 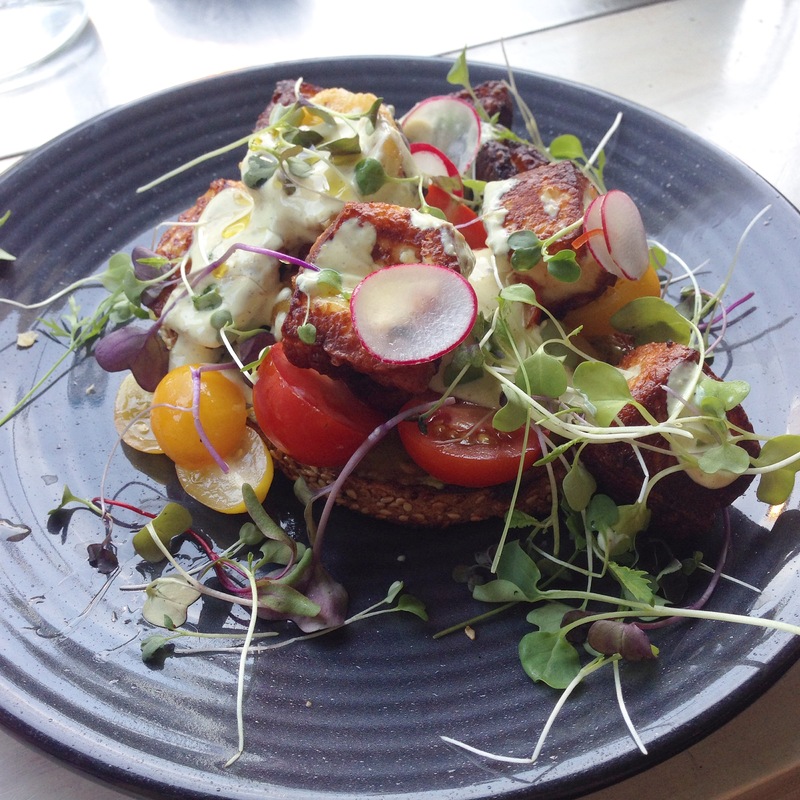 add to the mouthful a delish gooey piece of haloumi + a touch of the subtle creamy yoghurt… and i was in heaven. so pleased with my choice (+ thankful once again for that plate-envy i constantly experience!). the team were super friendly, with laid-back but attentive service. the cafe space itself is quite small, with two small tables in the middle + bar seating around the edges, however there are also plenty of tables kerb-side. it was a great space to think / create / be inspired (pun-intended) + the 7.5km walk from home was totally worth it. i’ll definitely be back! oh, and just a quick note to wish you all a very happy new year. thank u for your support + for reading this little blog, i’m so grateful. i hope your 2015 is full of love, happiness + great brunching! verdict: can’t wait to try the new menu! thanks allergicinmelb – love the blog! 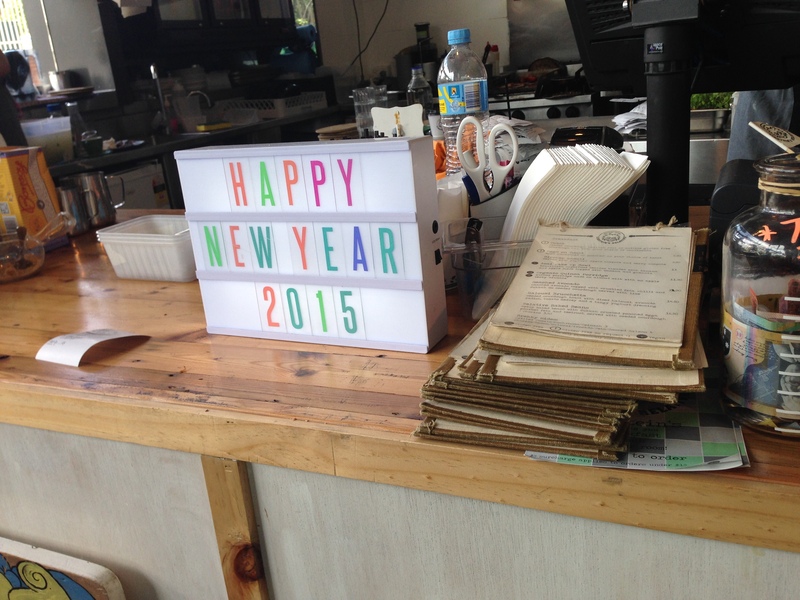 Your blog is one of my favourite discoveries for 2014 – bring on 2015! awww thank u so much! what a lovely thing to say… you’ve made my night!